Ander Sarabia and I are proud to have a story included in AMERICAN HISTORY Z! 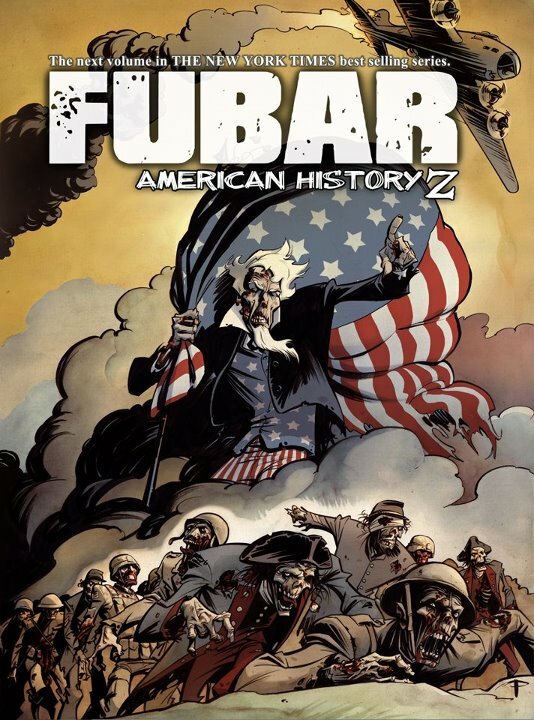 American History Z is the next installment in the The New York Times Bestselling graphic novel series “Fubar”, which blends historical and supernatural horror fiction. It’s pretty dope. A sneak preview of the book, comprised of the editor’s favorite contributions, drops September 8th at the Baltimore Comic Con. We’re in it. So’s Chuck Dixon, and a bunch of other rad folks. This entry was posted in Uncategorized and tagged Ander Sarabia, eric M. esquivel, Fubar Press, New York Times by ericmesquivel. Bookmark the permalink.